Fillings protect a tooth when it has been damaged by decay and a hole or cavity has formed in the enamel. It is important to fill cavities to prevent further damage to a tooth so that you can retain as much as your natural tooth as possible. Cavities form due to poor oral health. When plaque builds up on a tooth, the acid acts upon the outer layer of the tooth, causing tiny holes to form. If left untreated, this plaque can reach the second layer of your tooth – causing further damage. 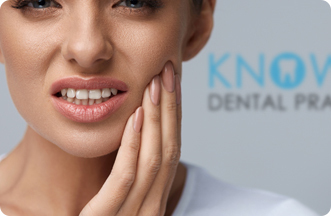 Fillings are one of the most common dental treatments we provide at Knowle Dental Practice. 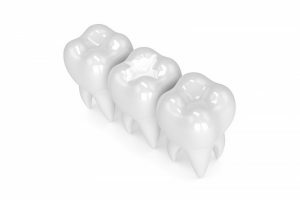 Traditionally made from metal, now you have the option of white ceramic fillings which match your natural tooth colouring, so they are virtually invisible to the eye. You can avoid the need for fillings by maintaining a thorough home care routine and visiting our team for a thorough and professional clean. To bring your smile back to health, please click here or call 0117 977 6567 to speak to a member of our team.